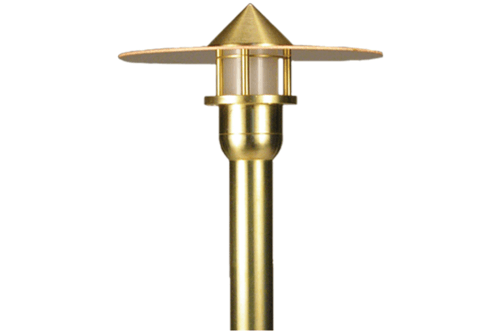 Precision machined lighting fixture with integral LED module and driver. 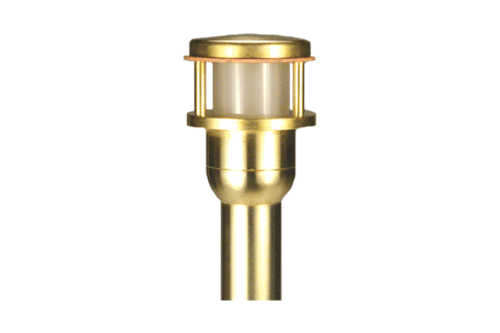 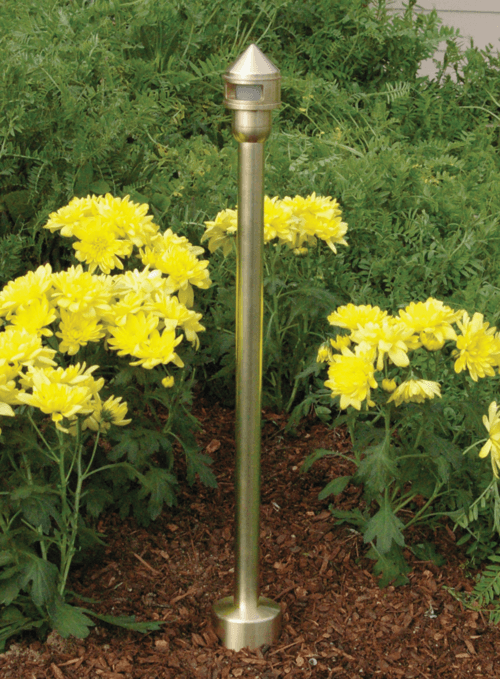 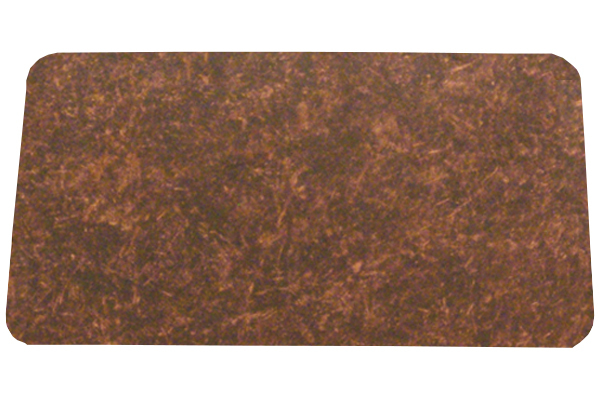 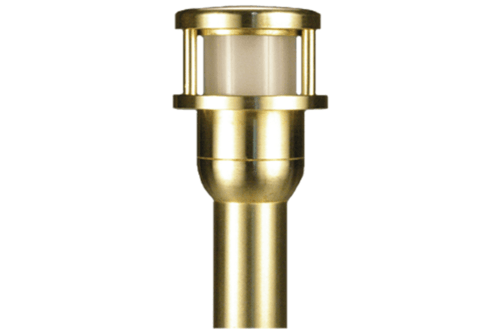 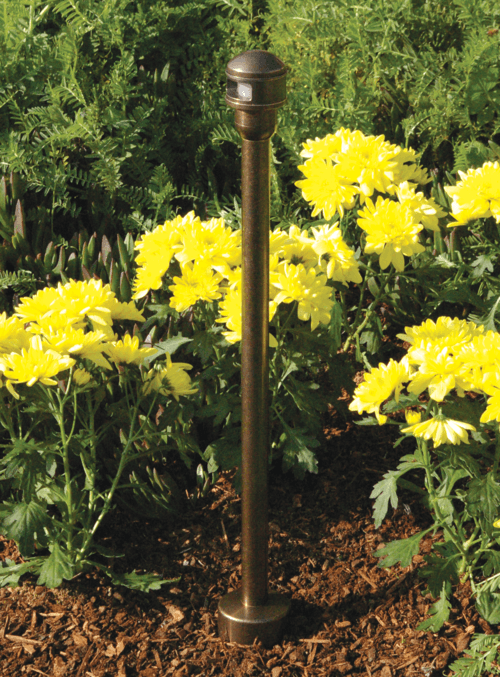 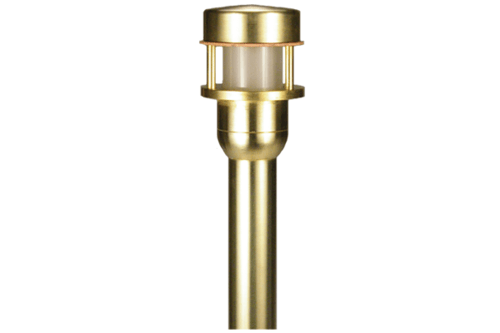 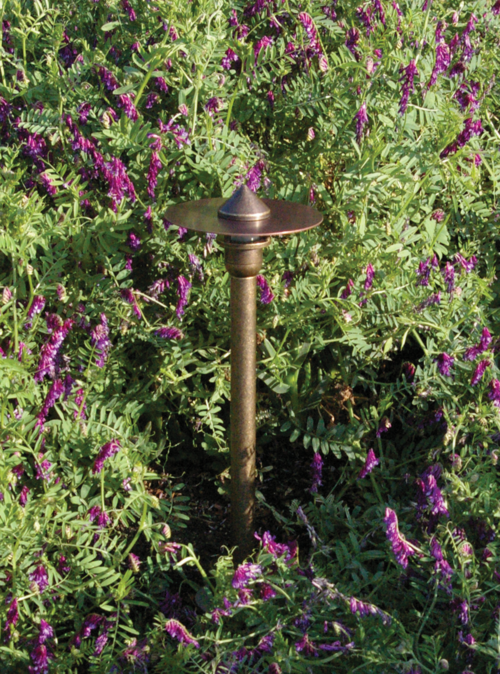 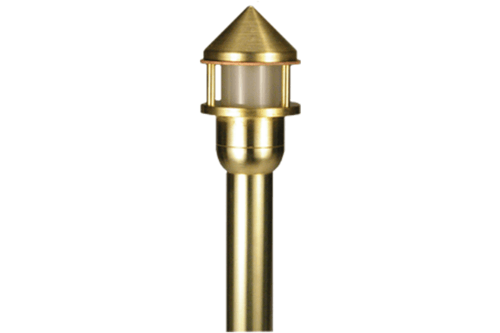 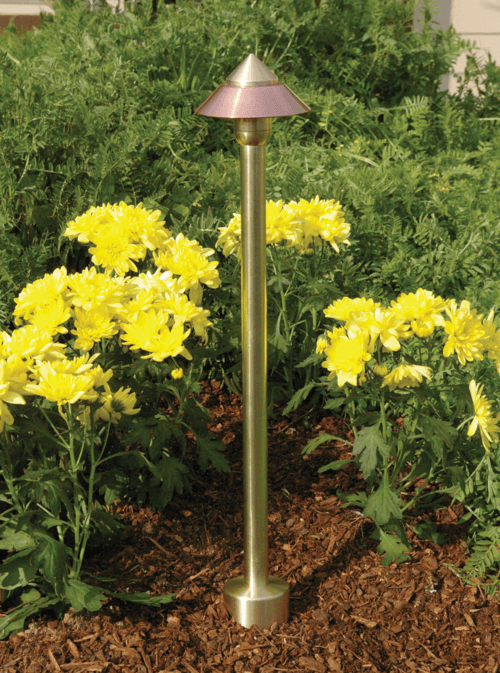 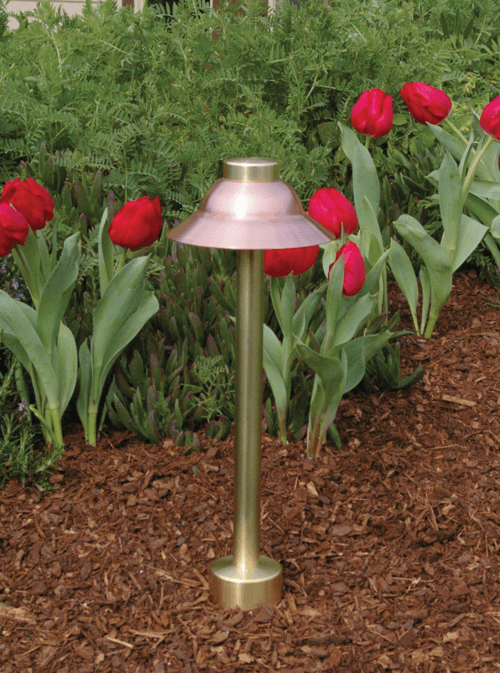 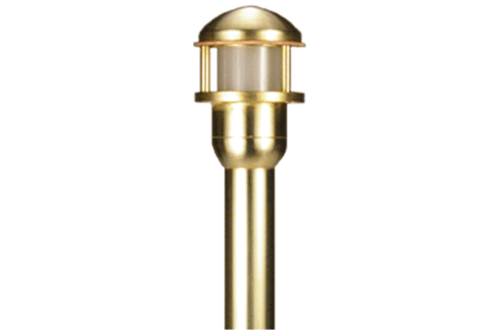 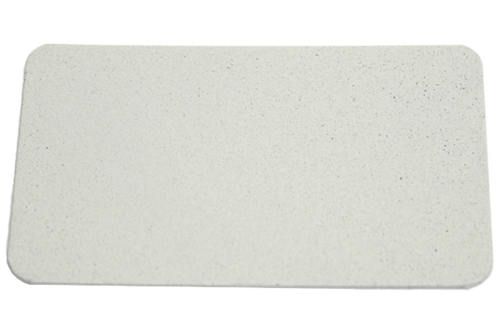 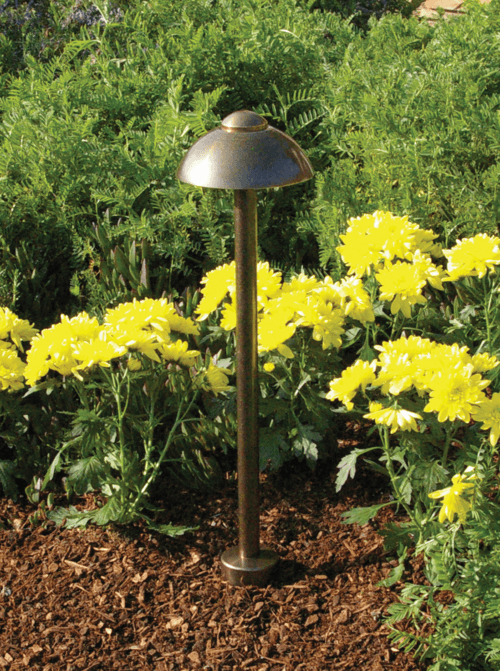 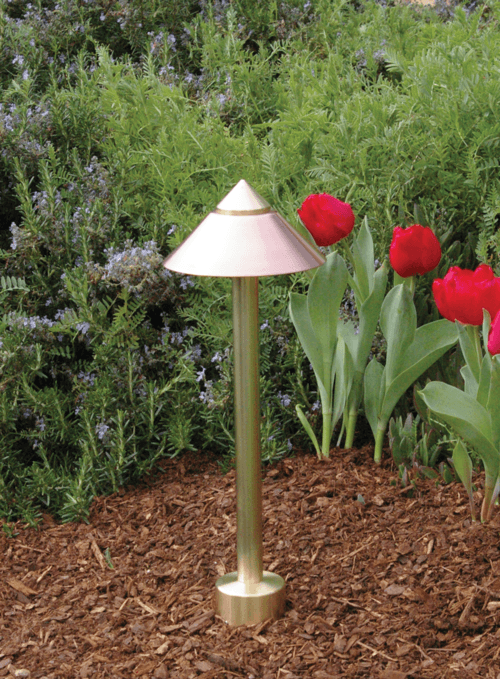 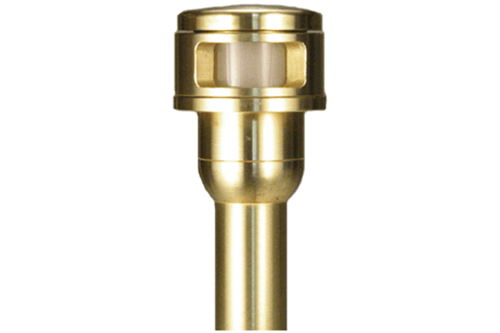 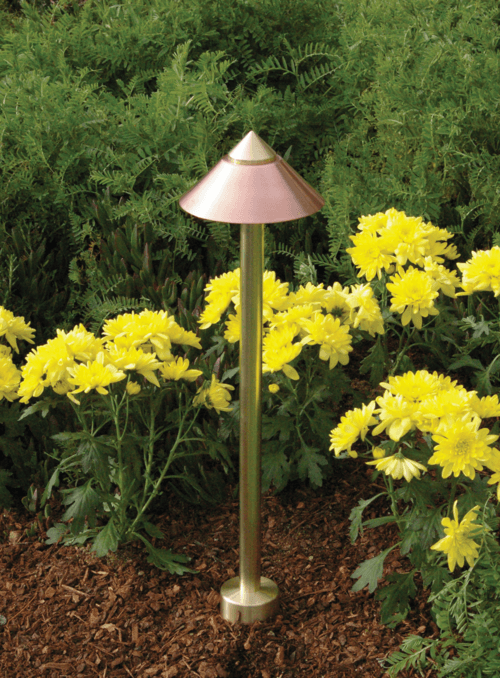 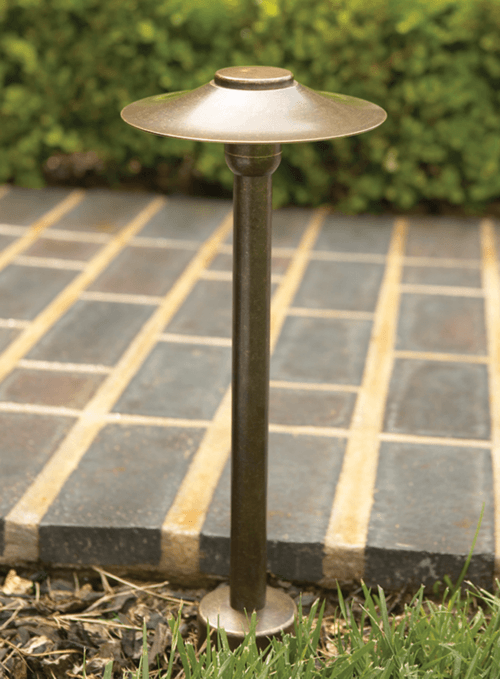 Can be used for path or garden lighting applications. Several options available for ground or surface mounting. 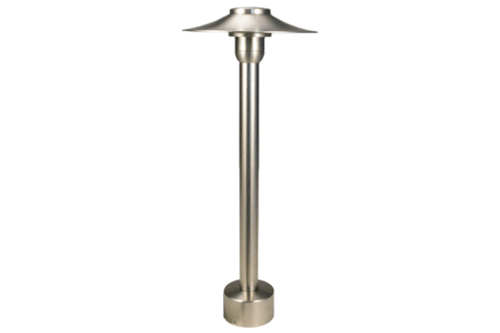 Available in fixed mounting heights from 6" to 48". 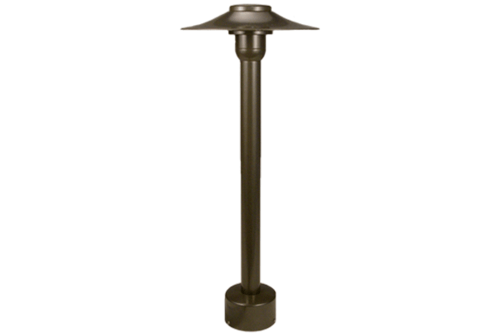 Adjustable version allows for range of heights from 3" to 48". 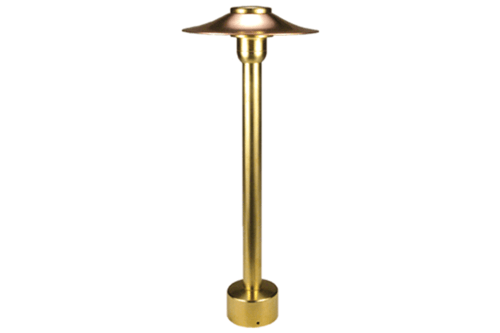 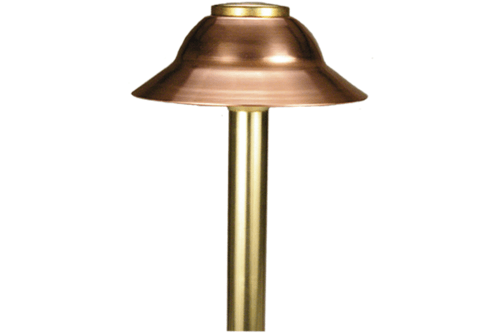 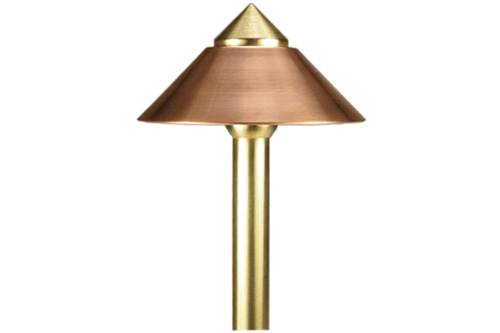 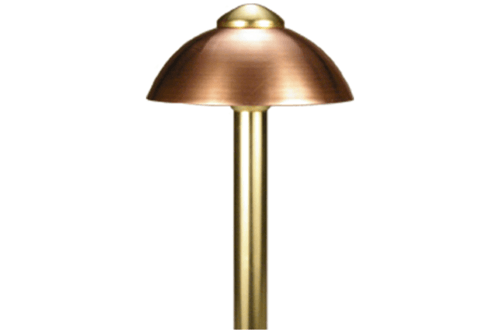 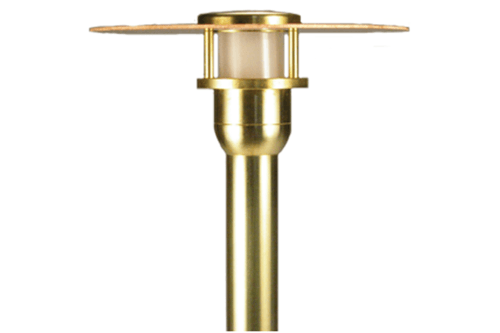 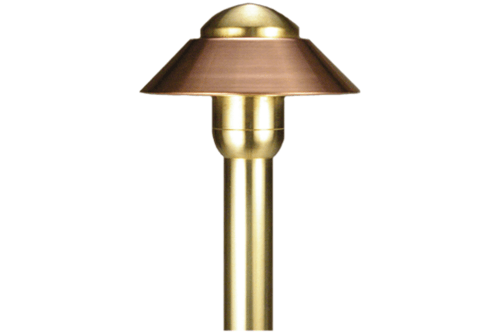 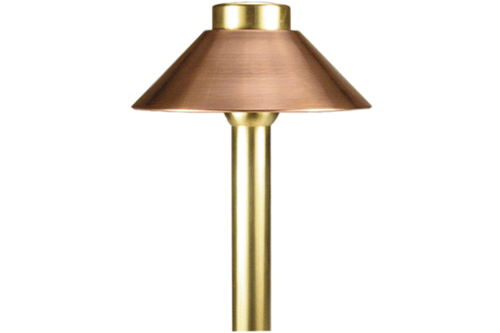 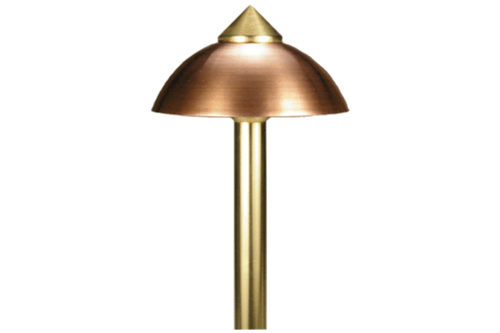 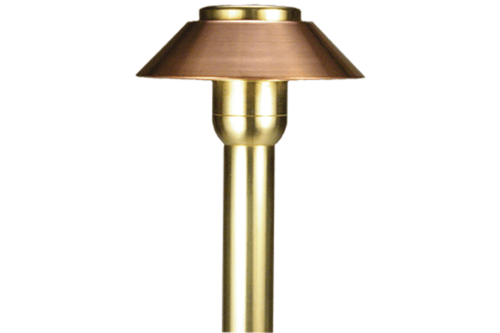 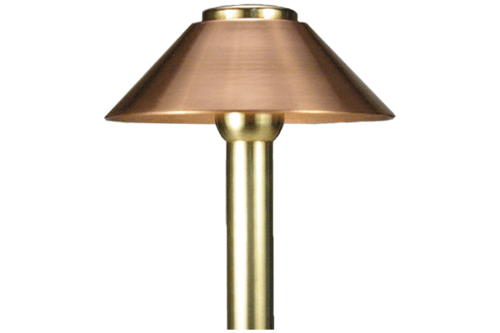 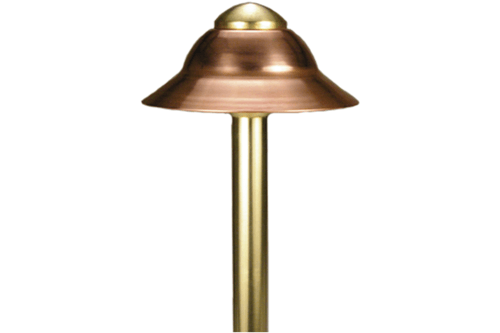 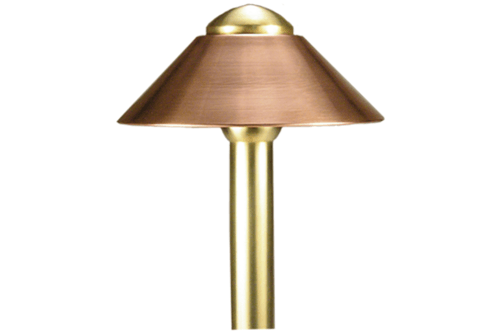 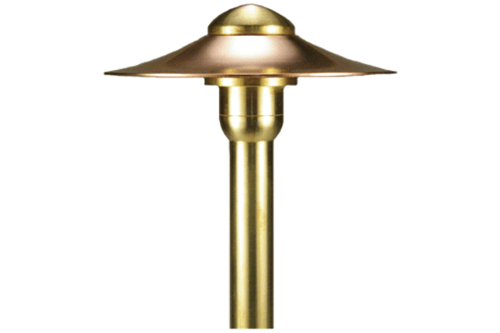 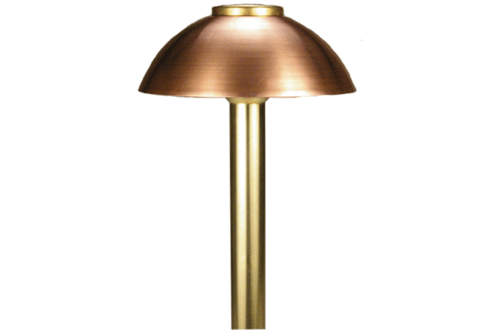 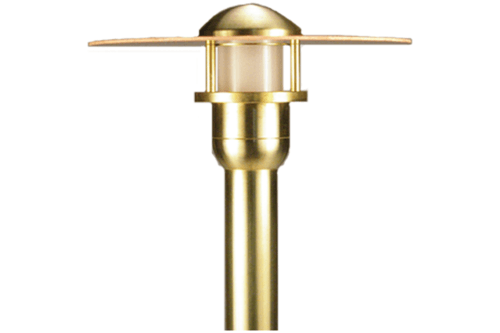 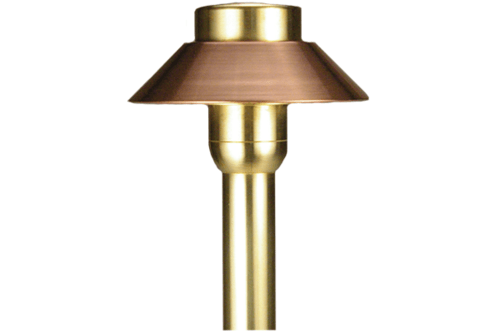 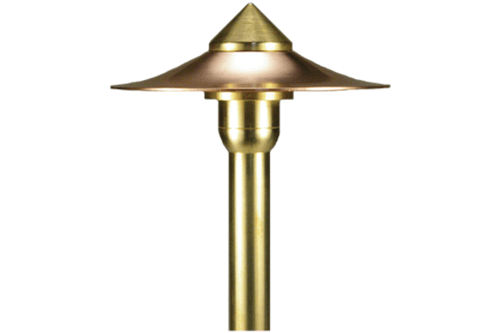 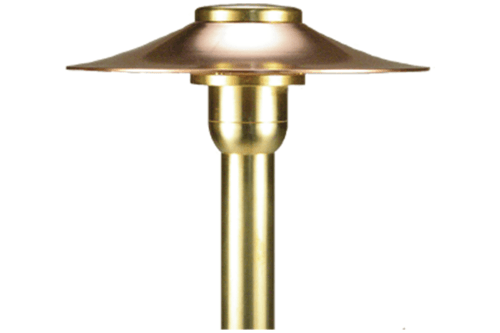 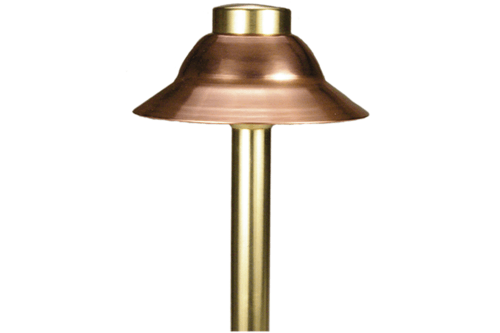 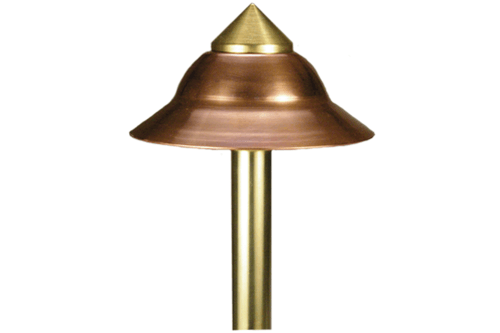 Threaded cap and shade can be easily removed for lamp replacement. 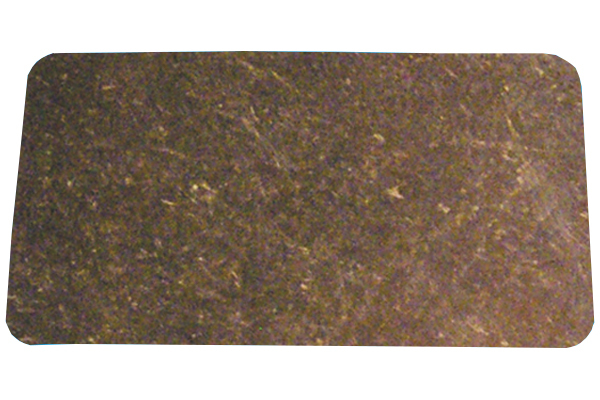 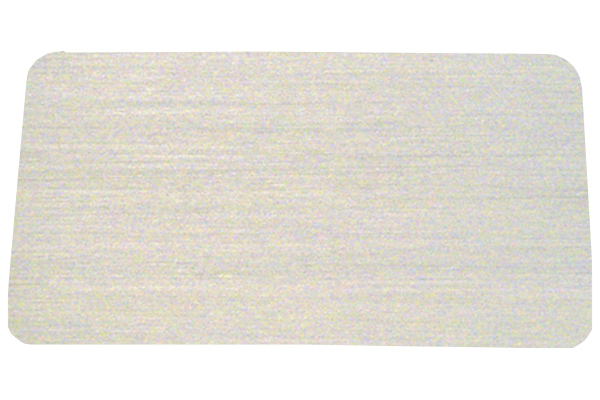 Four cap styles and three opening types to choose from. 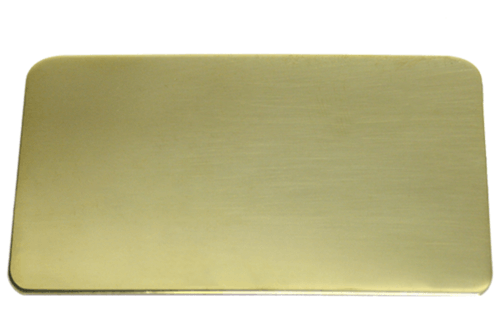 Integral transformer option allows for operation on 120V systems. 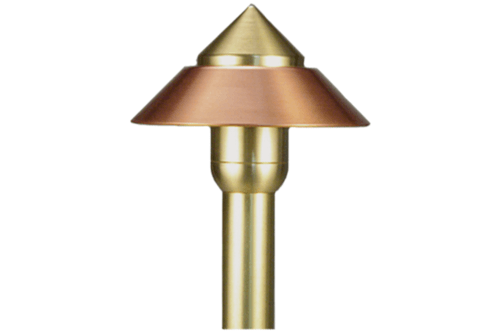 Available with choice of four styles of PVC stake mountings, three metal stake mountings, two surface mountings or no mounting (by others). 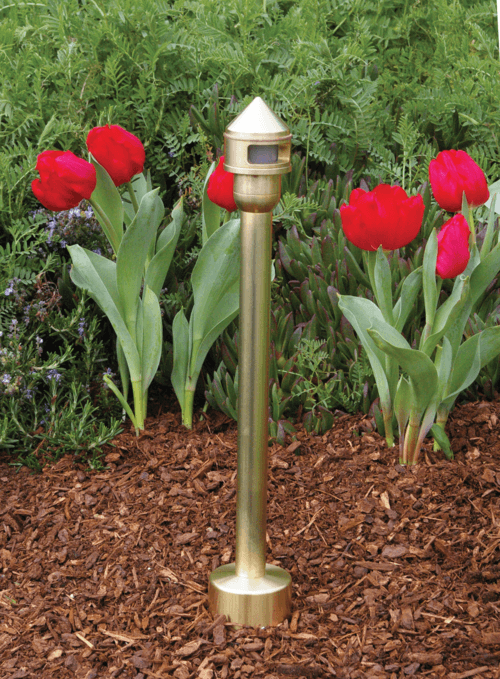 PVC stake mount has integral electronic transformer option for 120V systems (Style MO1-S3 Mount). 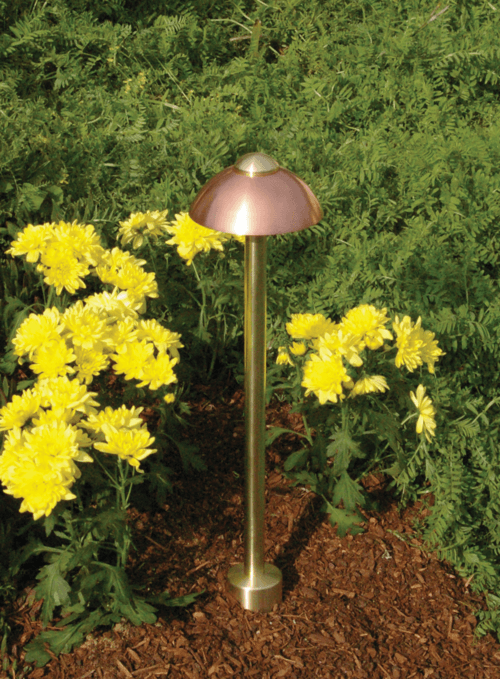 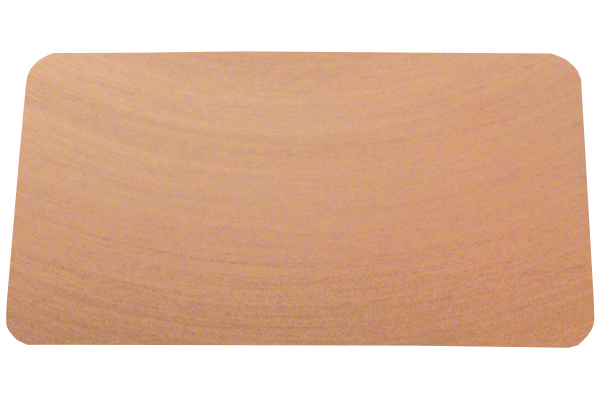 14 standard powder coat finishes, clear anodized aluminum finish, 3 stainless steel finishes, & copper finish available. 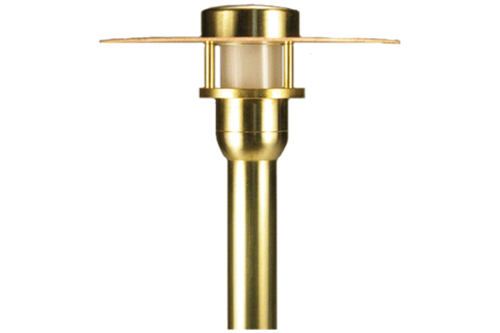 4W LED module with integral driver. 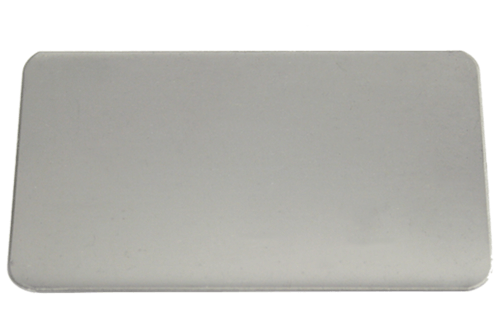 Removable top with tempered borosilicate glass lens that is factory sealed using high temperature silicone adhesive. 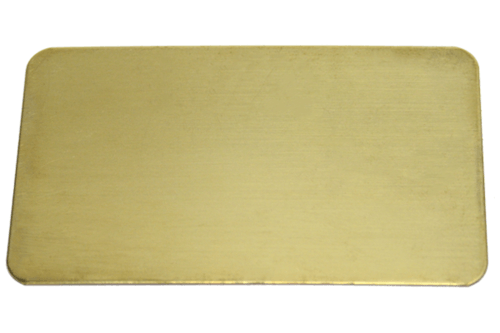 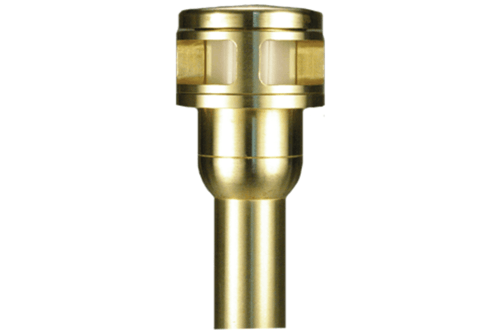 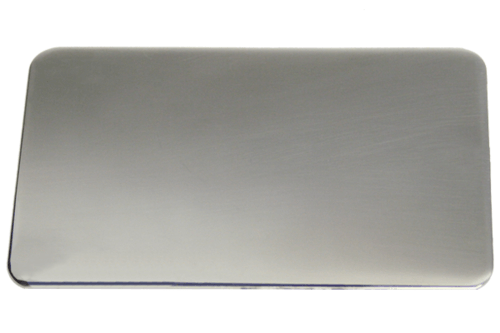 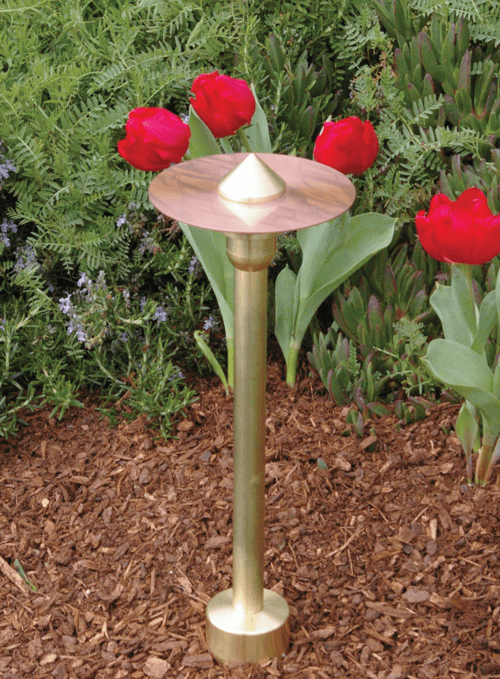 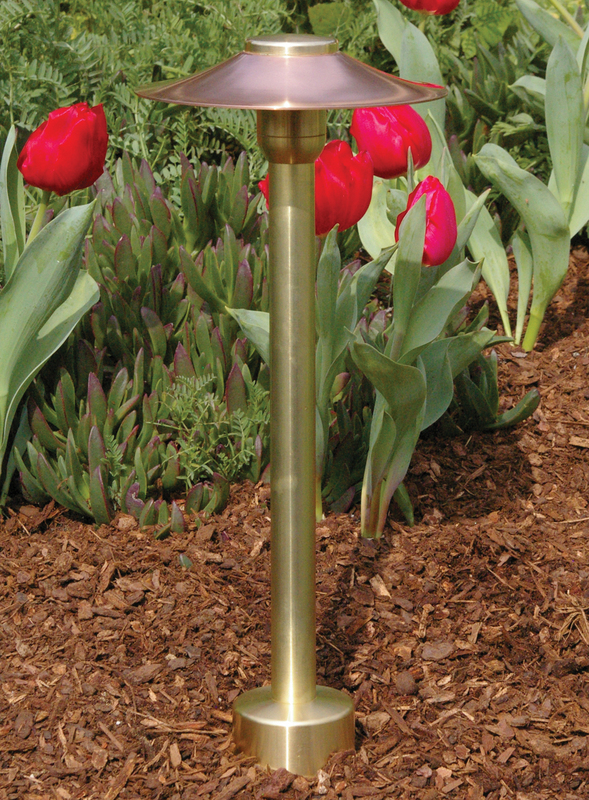 Precision machined from aluminum, brass, stainless steel or copper. All stainless steel hardware.